Following a successful weekend for champion trainer Paul Nicholls and the Tizzard family, with the former claiming a treble at his home track on February 16, both will be on hand at Wincanton Racecourse's Cheltenham Festival Preview Evening on Thursday 28th February. The Preview evening, sponsored by Paddy Power, is hosted by Channel 4 Racing's Alice Plunkett, with colleague Tanya Stevenson on hand to offer advice on market movers, bankers and blow outs. Paul Nicholls and local jockey Joe Tizzard will be on the panel to answer all your questions about their runners at the festival of jump racing and to give their opinions of their rival's horses. Join us from 7.00pm with the panel starting at 7.30pm on Thursday 28th February for an evening of informed entertainment. Tickets cost £20.00 each and include a hot supper. To book call 01963 32344. 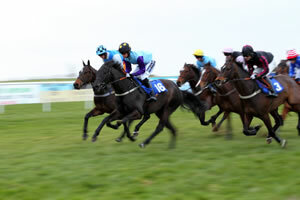 Wincanton's next race meeting is on Wednesday, February 27.